In today’s world many people are concerned about being as healthy and thin as possible. However, the key to losing weight isn’t starving yourself. If you set reasonable goals and focus on losing weight in a healthy way you’ll be able to keep the weight off for good. This way you’ll be healthy, prevent disease and keep your body looking youthful without the risk of developing an eating disorder. 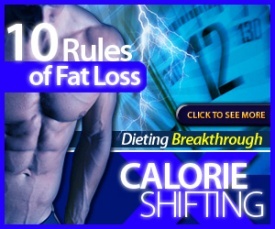 With these weight loss tips you’ll be able to lose weight in both an effective and completely safe manner. Our first weight loss tip is to set short-term goals so that you can stay motivated throughout your weight loss plan. Don’t start your weight loss plan with the goal of simply fitting into a certain dress size. Have an overall final goal, but be sure to set up smaller goals along the way. A short-term goal for weight loss could be the goal to spend a particular amount of time at the gym or to lose a certain small amount of weight every week. The short-term goals will help you focus, that way you will reach your final weight loss goal in no time and be all the healthier for it. Our second weight loss tip is to remove any junk food from your kitchen. Without the presence of these foods you can more easily train yourself to avoid unhealthy snacking. When at the grocery store buy nuts, high fiber foods, fruits and veggies and lean meats. All of these foods can assist with your diet, improve your health and help you reach your ultimate weight loss goal. In this vein, another weight loss tip is to devote snack time to eating healthy foods as opposed to candy or chips. You can curb your hunger by carrying some low-fat pretzels or snacks such as carrot sticks and apples with you. This way, when you do get the urge to snack you’ll have a healthy alternative to fast food or other unhealthy snacking options. Our third weight loss tip is to make sure you keep track of what you eat. A food diary can really help you monitor the kinds of food you’re eating on a day to day basis. 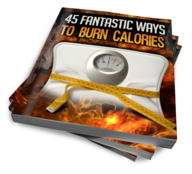 Not only will this help your count your calories but you can look into replacing any unhealthy foods with healthy alternatives.